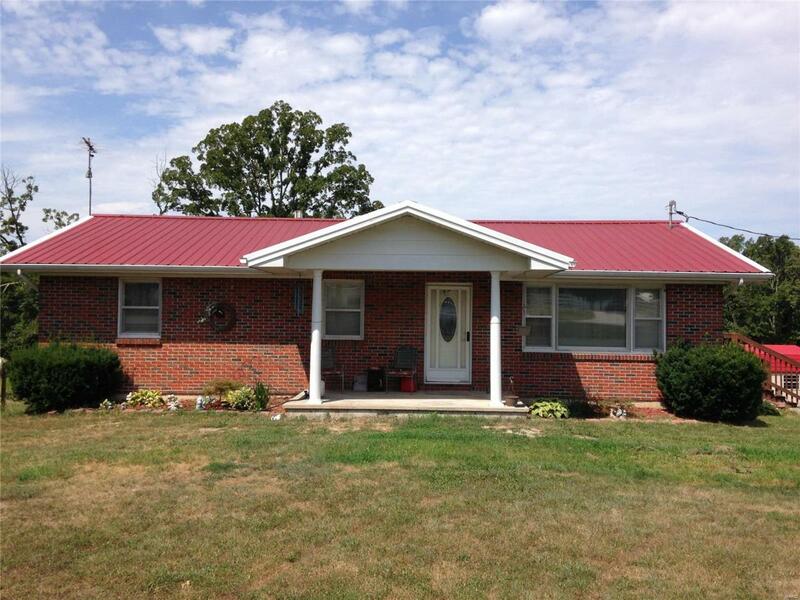 Cute home with lots of room on 4.6 +/- acres. Main floor features 3 bedrooms, 1 Jack and Jill bathroom, kitchen with wood cabinets and stainless appliances, dining area, living room and large laundry area. Basement has a family room, full kitchen and dining area (appliances stay), bedroom with no closet, bathroom with large soaker tub, office are with walk door and unfinished 1-car garage area. Nice hardwood upstairs and good carpet upstairs and down stairs. Covered, concrete porch on the front and nice wood deck on the side with entrances to kitchen and laundry area. Two metal storage buildings (12'X16' and 10'X16'). Fenced on south and west. Only a short drive to town.